As someone with a commercial license (e.g. truck drivers, cab drivers), it’s important to understand that you’re held to a higher standard than other vehicle operators. •	The Standard DUI: This occurs when you have a BAC of 0.08% or an officer believes you’re impaired. However, you’ll receive commercial DUI charges here if your BAC is 0.04% while you’re driving a commercial vehicle. •	An extreme DUI: This occurs when you have a BAC of 0.15% or higher. •	A super extreme DUI: You land in this category with a BAC of 0.20%. •	Aggravated DUI: Regardless of what your BAC is, if you’re stopped for DUI and have a revoked, canceled or suspended license, you’re in this category. You also land here if this is your third or more DUI within 7 years or you have a minor under the age of 15 with you. Additionally, if you’re driving drunk while having an ignition interlock device installed in your vehicle, you’re also in this category. As a truck driver you have a commercial driver’s license or CDL. If you commit DUI, the Arizona MVD (motor vehicle department) will either suspend or revoke your CDL. This is something that can happen if your BAC is as low as 0.04%. The reason for such a limit is that you’re typically responsible for multiple passengers. Additionally, you’re also responsible for operating large vehicles that can cause serious property damage and multiple injuries if you lose control of it. Depending on the type of violation you’re charged with, you could lose your CDL for up to two years. Since the MDV reviews each commercial DUI charge individually, it is possible that some drivers may get a limited conditional license while others will have their CDL revoked entirely. Those who have their CDL revoked by the MDV usually do so because they’ve had prior convictions. These people may face even more serious sanctions, including jail time or probation. Although these are the main consequences you’ll face, it’s possible that you may also face additional consequences. This is because the MDV mandates that you inform your employer of your Arizona DUI charges within 30 days of the date on which the violation occurred – even if you weren’t at work when the incident occurred. Doing so could impact your current job and any future employment opportunities you may have since your professional record is something that remains accessible to businesses for a period of up to 10 years. As such, potential employers can easily access the database in which these records are stored and find information about the DUI you’ve committed when they’re interviewing you as a candidate for employment within their company. Discovering that you’ve had a DUI could possibly be the reason they don’t hire you and while it may seem unfair to you, they’d be well within their legal rights to make such a decision. Truck drivers who face a one-year license suspension will most likely need to seek new employment opportunities once their Arizona revoked license is reinstated. Unfortunately, if you find yourself in this situation, you’ll find that there are many employers who won’t even be willing to consider hiring you to work for them. These are some of the reasons why you need to be very careful and responsible when you have a CDL. All it takes is just one Arizona DUI conviction and you could ruin your professional future. What you do today can easily have a major impact on your future too. However, you should know that you can still get a CDL and become a truck driver, but you may still face many of the same issues that truck drivers who commit a DUI face. Before you apply for your CDL, make sure that you’ve completed your original license suspension, even if you committed the DUI in a different state – the information is still communicated to Arizona’s DMV. You can’t expect to get away with lying or not providing all of the required information when applying for your CDL. 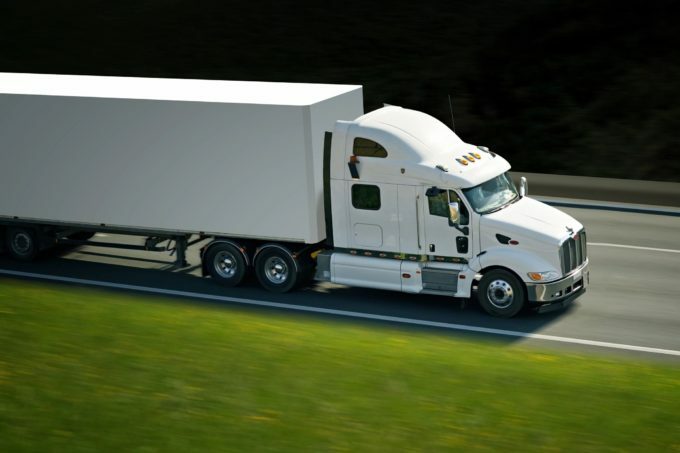 Once you’re granted your CDL, you must be really careful about how you act in the future. All it takes is one DUI in the future for you to face a lifetime suspension of your CDL regardless of whether the DUI occurred while you were driving your personal vehicle or not. You must also abide by all of Arizona’s DUI laws, regardless of whether you have a Class A, B or C CDL license. It’s good news to know that being charged with an Arizona DUI isn’t the end of the world. You will be investigated so that impairment can be established. Before this happens, you’ll want to hire a good DUI attorney who can challenge the evidence and the procedurals. Sometimes you’ll find yourself needing alcohol recovery services. When that happens, you should know that you can contact us at Alcohol Screening Arizona so you don’t have to go through the process alone. You can reach us by phone at 602-687-9481 and we’ll help schedule your Arizona DUI screening for you at your earliest convenience. Let us help you put this mistake behind you and mitigate the severity of the consequences that you face so you can get back to living your life and making your living with your CDL. This article was posted in DUI screenings and tagged ADOT approved DUI screenings, ADOT-approved screening provider, affordable DUI screening, Alcohol Screening Arizona, alcohol screening DUI, alcohol screening online, alcohol screenings, arizona alcohol screening, Arizona DUI, Arizona DUI screening online, Arizona DUI Screenings, Arizona licensed DUI provider, Arizona MVD, Arizona MVD alcohol screening online, Arizona restricted license, AZ Alcohol DUI Screenings, AZ DUI alcohol screening, AZ MVD alcohol and drug screenings, AZ restricted driver's license, court-ordered DUI screening, DUI alcohol screening, DUI Alcohol Screening in Arizona, DUI Class Online AZ, DUI screening, internet alcohol screening, MVD Arizona, online alcohol screening, online AZ MVD screening, Online DUI Alcohol Screening Arizona, online DUI screenings, stopped for a DUI.